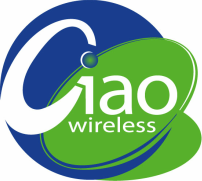 Ciao Wireless, Inc. has introduced its latest product line of ultra-broadband amplifiers covering 2-40GHz and features an integrated wideband output detector option for communication applications. The series of amps have usable bandwidth over 1-40GHz in most cases. 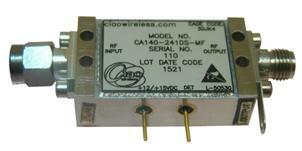 This series of amplifiers comes with multiple gain options ranging from 10dB MIN up to 45dB Gain. Typical Output Power @ the 1dB Compression Point can be as high as +20dBm with higher power versions currently in development. The series features well controlled gain variation over frequency (+/- 3.0dB TYP or better) and Input and Output VSWR of 2.3:1 or better. Noise Figure is typically 4.5 dB over most of the band. 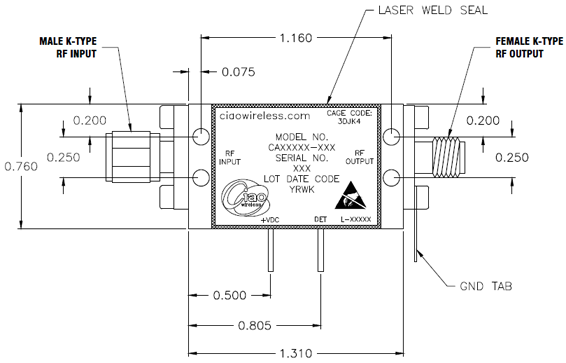 The integrated detector works across the full 1 to 40GHz band (Via Solder Pin) with customizable Output Voltage. The detector is highly repeatable with a 10dB dynamic range MIN and with a settling time of 50µS. The series features internal linear voltage regulation with reverse polarity and overvoltage protection and can be operated from +12 to +15VDC (alternate voltage ranges available). Units are fully environmentally sealed with laser weld (hermetic) sealing available. Units are qualified for use in most Hi-Rel and Harsh Commercial Applications. Did you know we supply components from over 40 different manufacturers?